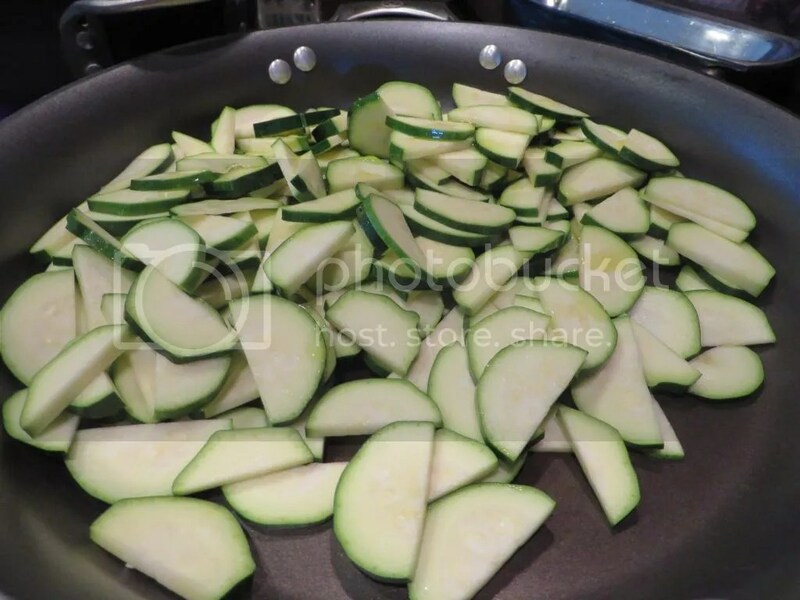 When zucchini are in season, this is one of my favorite (and easy!) recipes to make. 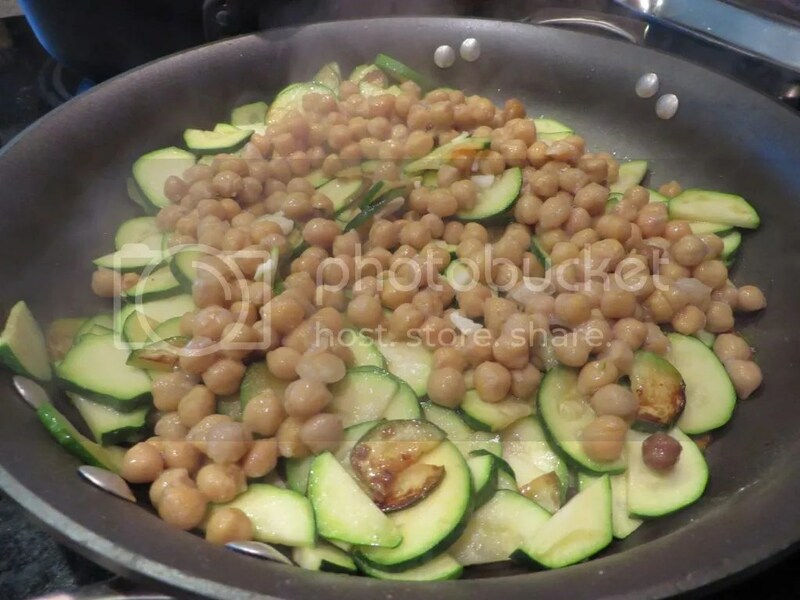 I always have pasta on-hand, and almost always have chickpeas, so all I need are zucchini! Enjoy! 2. Meanwhile, heat the oil in a large skillet over medium heat. Add the zucchini and salt. 5. Toss the pasta with the reserved pasta water and 1/2 of the Parmesan. 6. 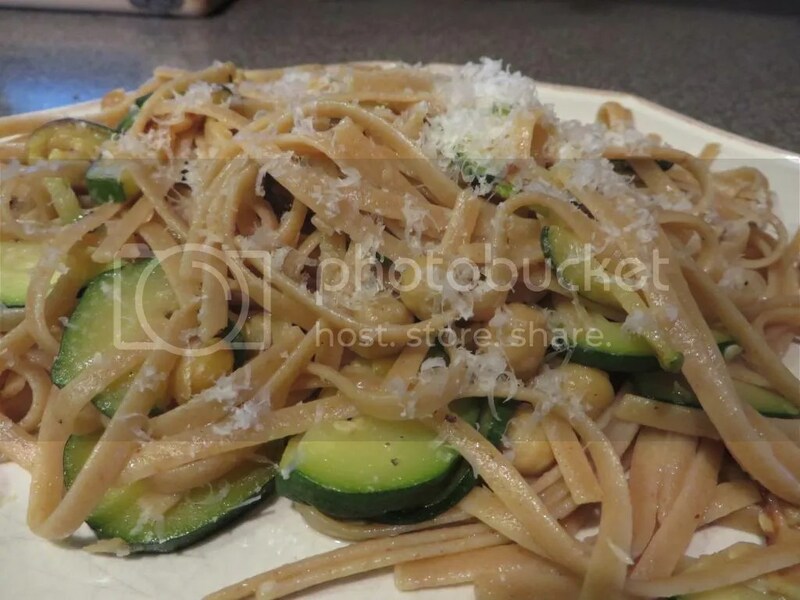 Divide the pasta among bowls and top with the zucchini mixture and the remaining Parmesan. I’ve been making sourdough bread quite a bit recently, and I needed to find some interesting things to do with the leftover bread. I’ve been making this recipe for years, and I knew the sourdough would work well. This is always a breakfast hit – whether we have overnight guests or not. Everything is prepped the night before, and I just pop it in the oven in the morning. And extra servings freeze and reheat well! Enjoy! 1.Preheat the oven to 350°. Spray non-stick spray on a medium baking dish. Spread the bread cubes on a baking sheet and bake for about 10 minutes, until dry but not browned. Let cool, then transfer to a large bowl. 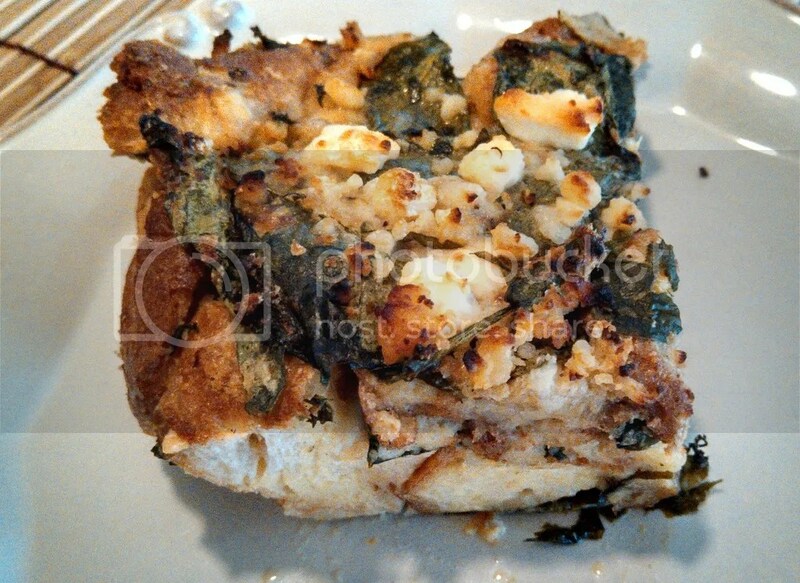 Stir in the spinach and 1/4 cup of the feta. 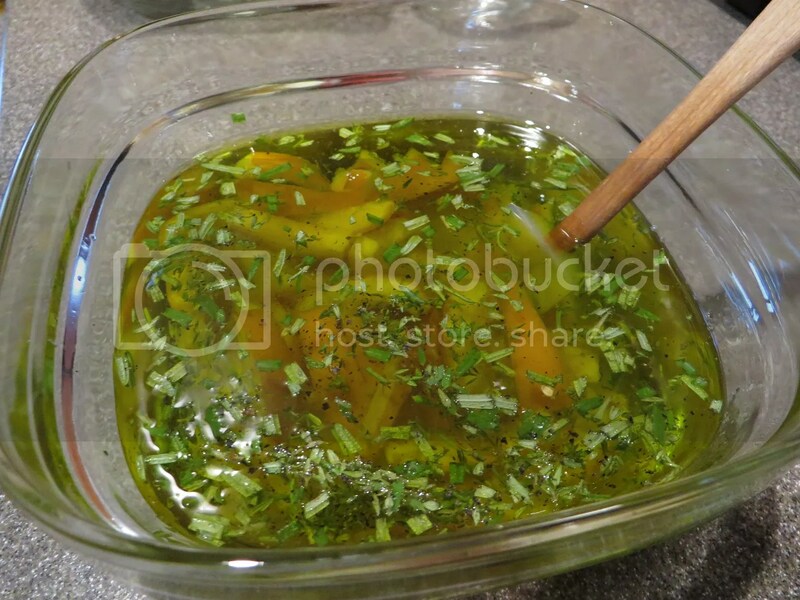 2.In another bowl, whisk 1 tablespoon of the olive oil with the mustard, lemon zest and lemon juice. Add the eggs and beat until blended. Add the milk and season with salt and pepper. Pour the egg mixture over the bread cubes and stir until they are evenly moistened. Transfer the bread mixture to the baking dish and let stand at room temperature for 2 hours or refrigerate overnight. 3.Sprinkle the remaining feta on the bread pudding and bake at 350°in the center of the oven until risen and set, about 40 minutes. Turn on the broiler. Drizzle with the remaining 1 tablespoon of oil and broil until the bread pudding is golden and crispy on top, about 1-2 minutes. Scatter the oregano on top, cut into squares and serve. This is it. 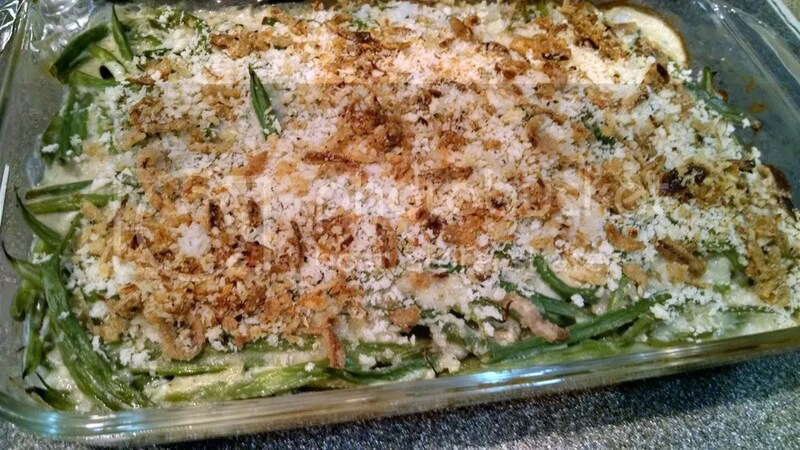 The green bean casserole that replaces the icky one made with canned soup. It’s easy. It works for those family gatherings. It goes with *everything*, and it can be made and prepped ahead of time, so all that you need to do is pop it in the oven. We have been making this for the last couple of years, and it is always a hit. Enjoy! 1. Cook fresh green beans in boiling, salted water to cover for 4 minutes, drain. Plunge into ice water to stop the cooking process. Drain and pat dry. Use immediately or store in a zip-top plastic bag in the refrigerator for up to 2 days. 2. Make the bechamel sauce. Melt butter in a medium-size heavy saucepan over medium heat. Whisk in flour until smooth. Cook 1 minute, whisking constantly. Gradually whisk in milk. Cook over medium heat, whisking constantly, 3-4 minutes or until mixture is thickened and bubbly. Remove from heat, and whisk in buttermilk, ranch mix, and salt & pepper. 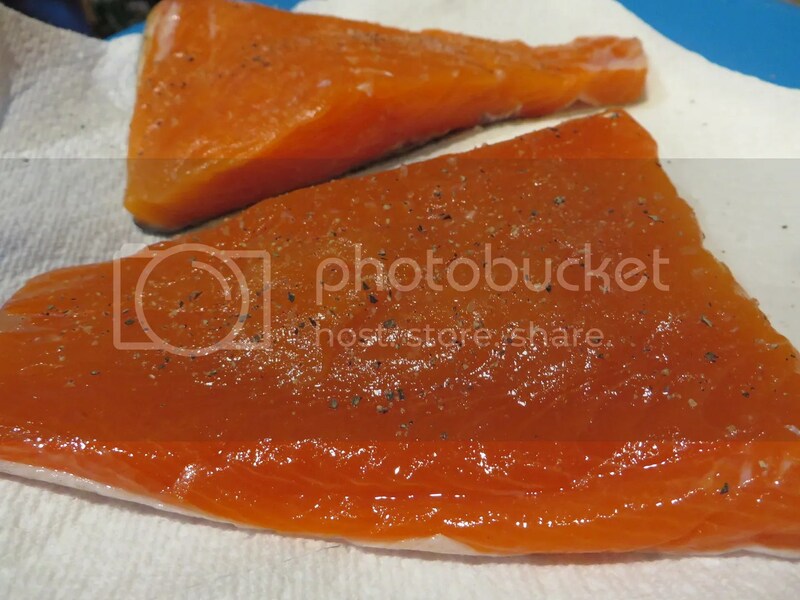 Sauce can be used immediately or can be covered and refrigerated for up to 2 days. 3. Preheat oven to 350. Stir together bechamel and green beans. 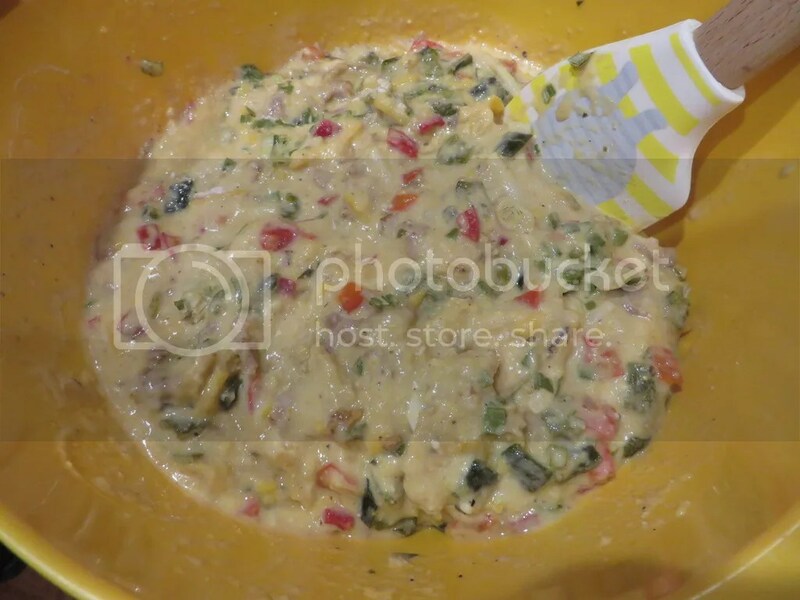 Place mixture into a lightly greased 13×9 or 3 quart baking dish. 4. Combine French fried onions and panko. Sprinkle over green bean mixture. 5. Bake at 350 for 25-30 minutes, or until golden brown and bubbly. **Note** The entire casserole (minus the onion/panko topping) can be assembled up to 1 day ahead and refrigerated. Just add topping before baking. Do you ever need a dip that can go with anything but tastes *WAY* better than the packaged dip mixes? Look no further – this is the one! I like to make this a day or two ahead so that the flavors have time to meld. Then all you need to do is pull out dippers (toasted baguette slices, veggies, potato chips, etc.) and you’re ready to go. This recipe is always a hit. Enjoy! In a large thick-bottomed skillet over medium heat saute the chopped onions in the olive oil along with a couple pinches of salt. Stir occasionally with a wood or metal spatula and cook until the onions are deeply golden, brown, and caramelized – roughly 40 or 50 minutes. Set aside and let cool. In the meantime, whisk together the sour cream, yogurt, onion powder, and salt. The important thing is to add whatever onion powder you are using to taste. Add a bit at a time until it tastes really good (about 3 tsp worked for me). Set aside until the caramelized onions have cooled to room temperature. 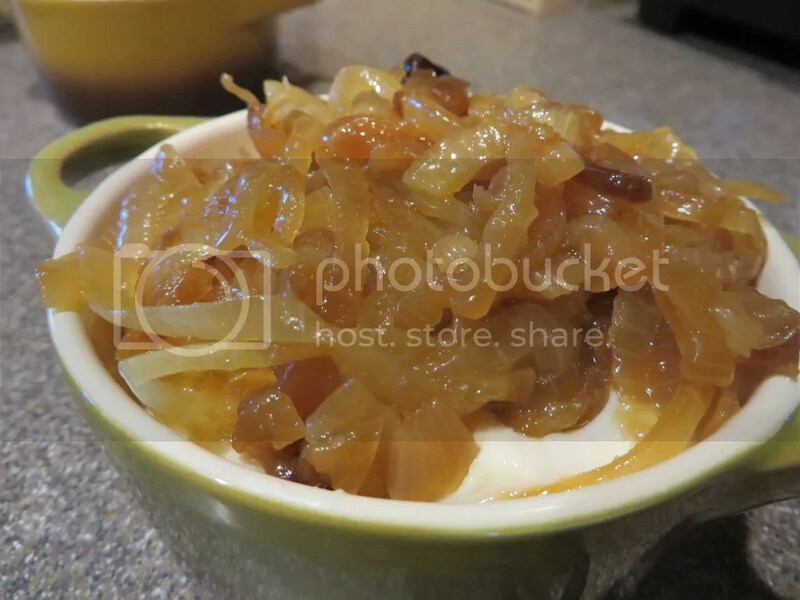 Stir in 2/3 of the caramelized onions, scoop into a serving bowl, and top with the remaining onions. In addition to all of the cookbooks I have and cooking magazines I subscribe to, I am also signed up for several food-related emails (shocking, I know!). Upon opening a recent food email, it led me down a rabbit-hole of links, which led me to the original recipe for these scrambled egg muffins. I liked most of the recipe, but decided to change a few things to suit our tastes a bit better. 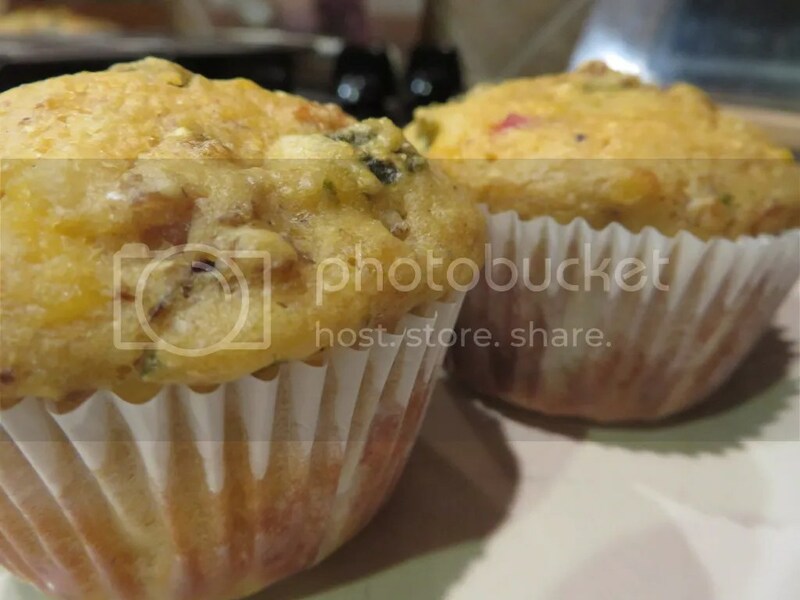 I wasn’t sure how these would turn out, and I was a little nervous, as I ended up filling 16 muffins-worth with the batter (that original recipe had only made 12, but I couldn’t fit the batter into 12 spots). Luckily, these turned out amazingly well! And because there were so many, I can safely say that they reheat well and even freeze well for eating later! Enjoy! 1. 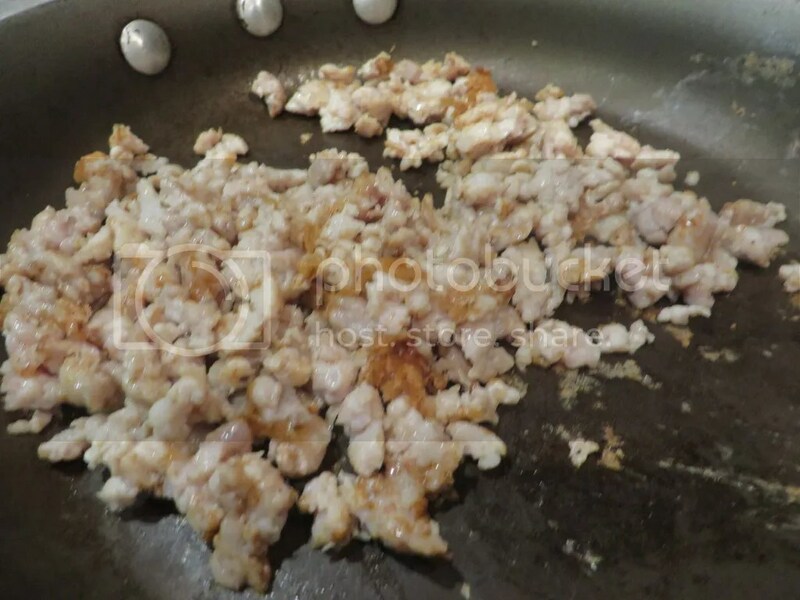 Preheat oven to 400° F. Cook ground pork with sausage seasoning in a skillet until browned, then crumble and set aside. 2. 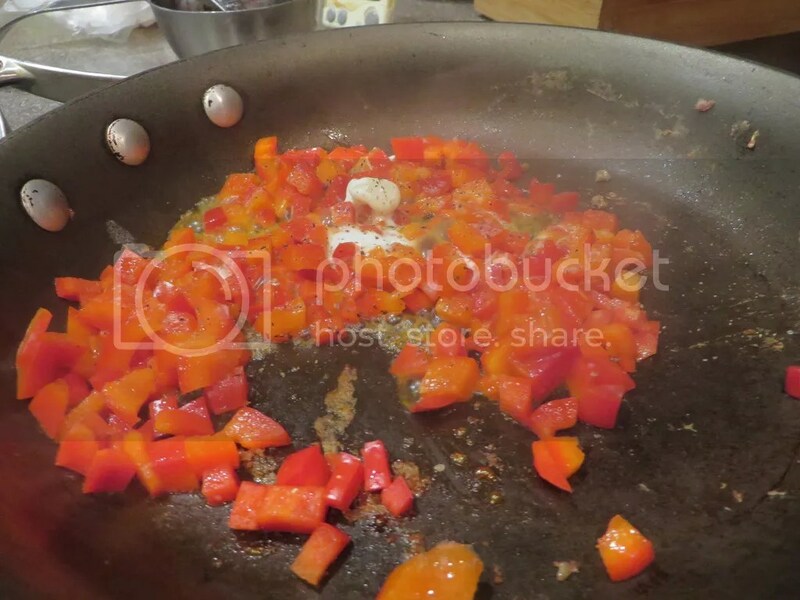 Melt a 1/2 tablespoon of butter in the same skillet over medium heat, add red pepper and cook until brown. Remove and to bowl with sausage, set aside. Stir syrup into sausage/peppers. 3. Add a 1/2 tablespoon of butter to pan and scramble 4 of the eggs with salt/pepper to taste until just barely cooked through. Add to bowl with sausage and peppers. 4. Mix flour, cornmeal, salt, baking powder, baking soda, and black pepper. In another bowl, whisk milk, remaining 2 eggs, and 1/4 cup applesauce. 5. Stir dry and wet mixtures together then fold in cheese, sausage, bell pepper, eggs, and poblano chiles. Spray muffin tins (or use liners) and add batter. Bake about 15 minutes, or until a toothpick comes out clean. **Note** These freeze and reheat well. 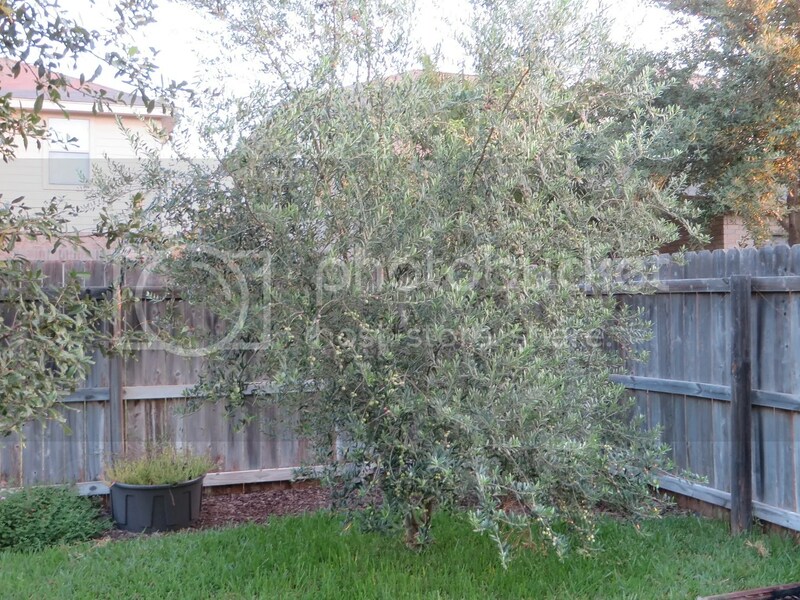 Several years ago, when we first moved to San Antonio, we visited a farmer’s market and bought a small olive tree from Sandy Oaks Olive Orchard. The woman at the market told us we could keep it in a pot for a year or two, but then it should be planted in the ground. So, a year or so later, we finally planted it and hoped that it would survive. 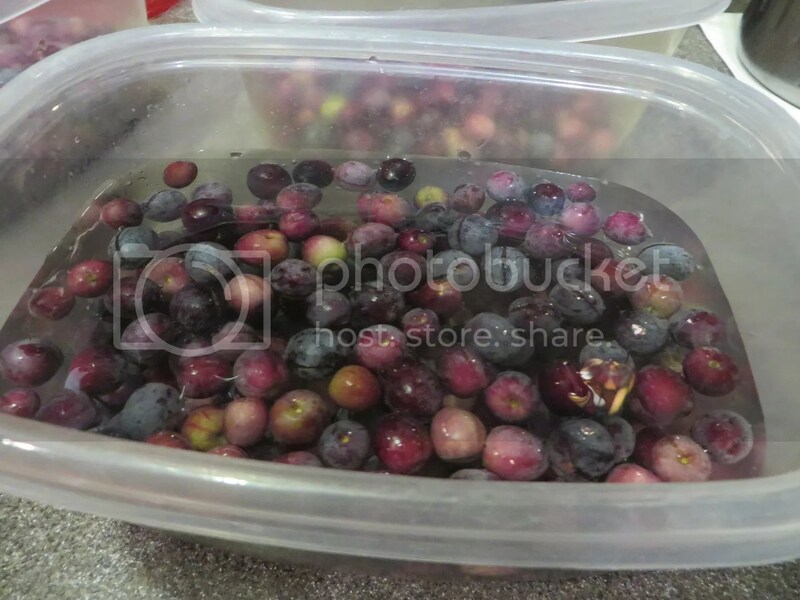 The tree grew the first year, and the next summer produced a few olives. 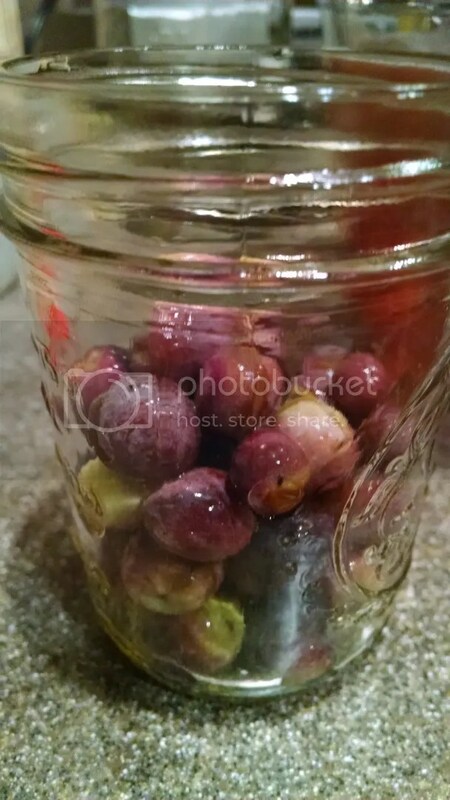 We found this method for brining them online, and were excited to make our own olives! The next year, the tree produced nothing. The next time we were at the market, we asked about it at the Sandy Oaks booth. It turned out that the variety of olive tree we purchased (Arbequina) only produced olives every-other year. So, the next year, we had a few more olives. But the next year there were olives, too. Maybe our tree is a mutant? And this year, TONS of olives!! The tree branches are bending over with the weight of the fruit this year! So, since we finally know what we’re doing with the whole harvesting/brining process, I decided I would share it with you! 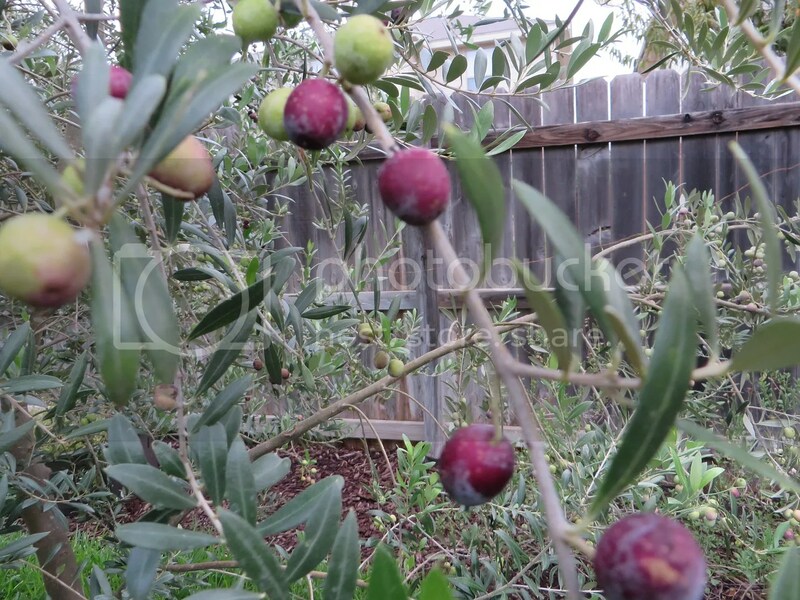 I know you’ll only do this if you happen to also have an olive tree in your yard, but even so – it’s fun! 1. 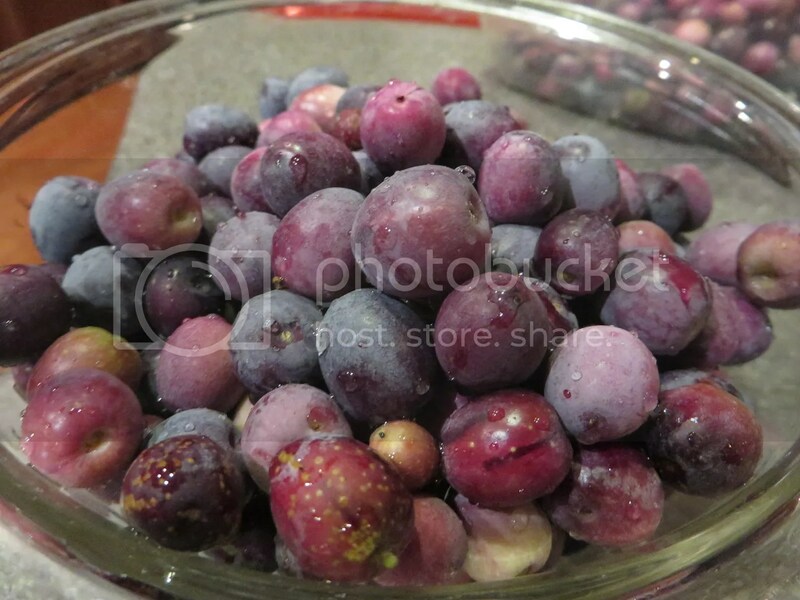 Pick purple-colored olives from olive tree. 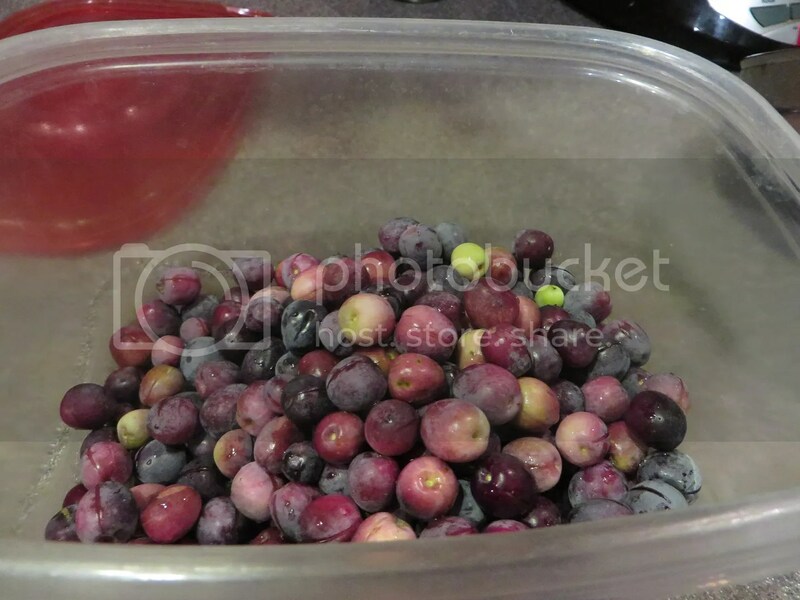 This is our tree (below), and you can see that some olives are ready (purple), while others aren’t quite there yet. 2. Wash olives with water. 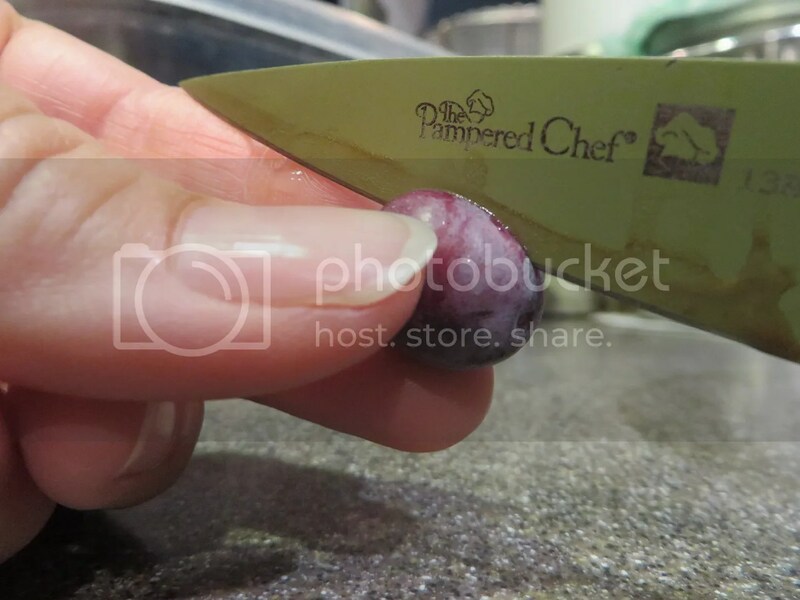 With a clean, sharp knife, make a cut in each olive (about 1/8 inch – in my olives this is from skin to pit). 3. 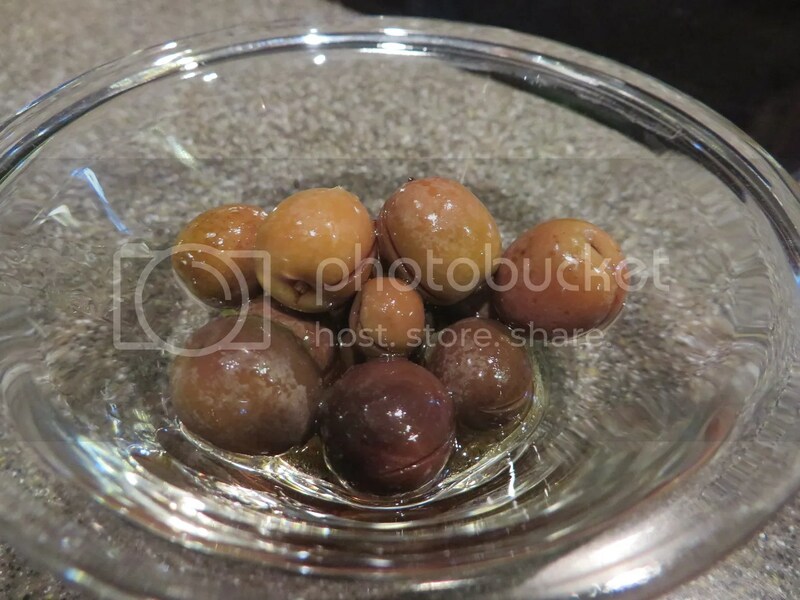 Place cut olives in a food-grade plastic container (with a lid), and cover with fresh, cool water. Close the lid and leave the olives to soak in the refrigerator. 4. Every 24 hours (for a total of 7 days), change the water. 5. Make the finish brine. Add 1/4 lb pickling salt to 1 quart (4 cups) fresh water. 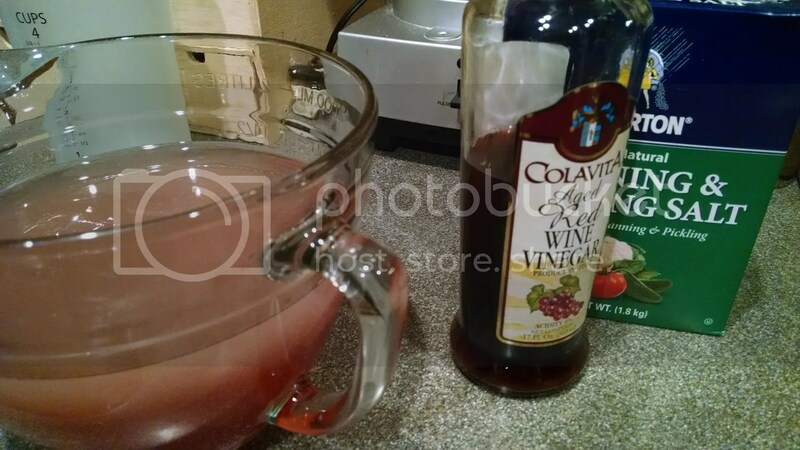 Stir to dissolve, and add 1 cup red wine vinegar. 7. 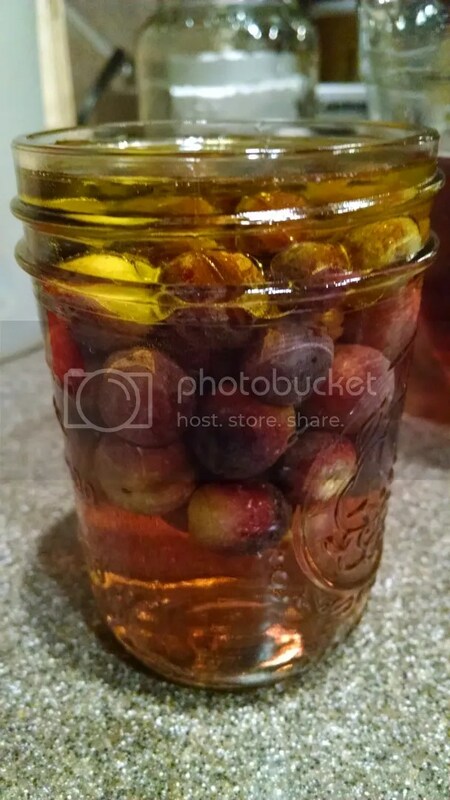 Allow the olives to marinate for at least 1 month to develop the desired flavor. They usually sink when they are ready to consume. *Note* After the first month, these can be stored in a cool, dark place or in the refrigerator for about 1 year if the container remains airtight. 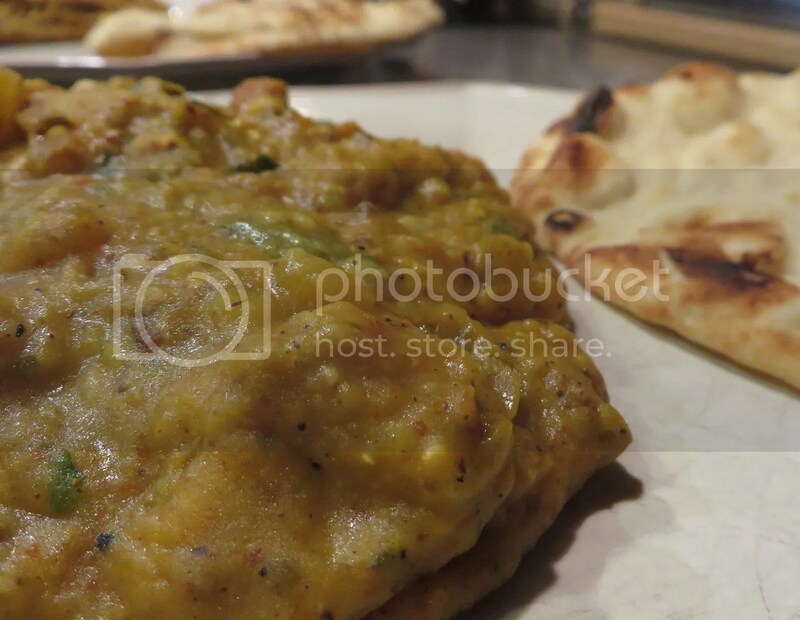 I was scrolling through, and realized I have never posted my friend Anil’s Indian lentil recipe. I was sure I had posted it at some point, but I can’t find it! So, I’m posting it for you now. This was probably the first Indian food I ever ate! Years ago, when I was in grad school, my friend Anil would have the rest of us over for dinner, and this dish was his specialty. He spent hours making it, and we usually didn’t eat until about 10pm – mostly because we were all goofing around while he and his roommates cooked, drank beer, and listened to music. It was always a special treat, and we always looked forward to a dinner invitation to Anil’s house. When we both finished grad school – at my graduation party, in fact – I begged Anil to share his recipe. He ended up writing it for me on a party napkin (which I still have)! I’m so glad he shared it! Enjoy! In a pressure cooker, combine lentils and water. Bring to a boil (high pressure), turn down heat and cook 10-15 min. Meanwhile, in another medium saucepan, combine oil, mustard seeds, cumin seeds, and dried red pepper flakes. Cook until seeds pop. 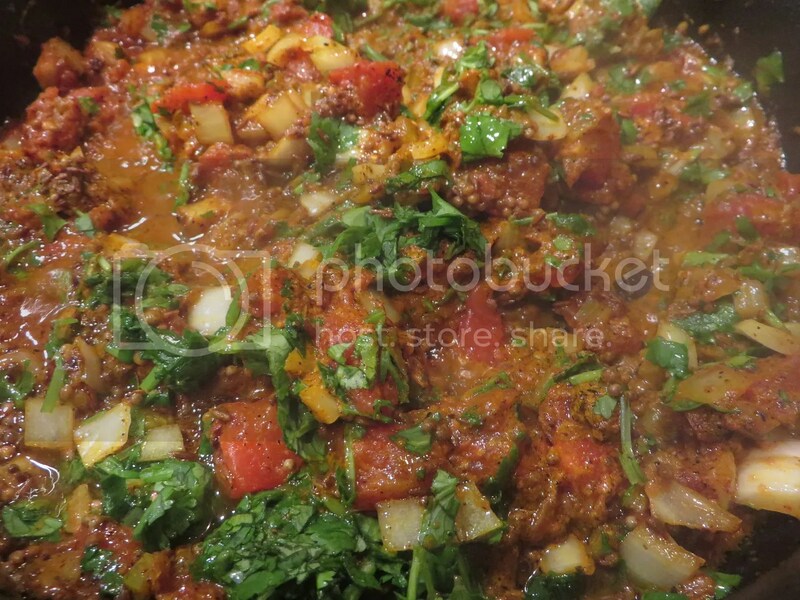 Then add tomatoes, chopped onions, chopped cilantro, chopped chiles, chili powder, tumeric, and salt. Simmer for about 5 minutes. When lentils are finished, pour in the vegetable/spice mixture. Stir to combine. Serve over brown basmati rice or with a piece of naan. I *love* this recipe. And each time we make it, I’m stunned that we don’t make it more often! 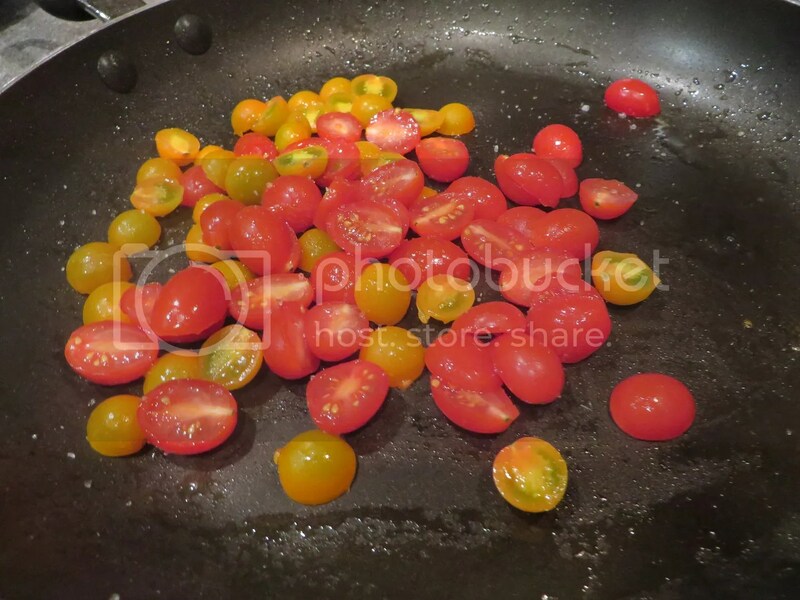 It works year-round – even when tomatoes aren’t in season (sauteeing those grape tomatoes brings out the flavor of even winter greenhouse-grown tomatoes). It also goes well with any wine – white, rose, red – which is a rarity (at least for us!). Enjoy this on its own, or add an additional vegetable, side, or even bread. 1. Heat a large nonstick skillet over medium-high heat. Sprinkle fillets evenly with 1/2 teaspoon salt and 1/4 teaspoon pepper. Coat pan with cooking spray. 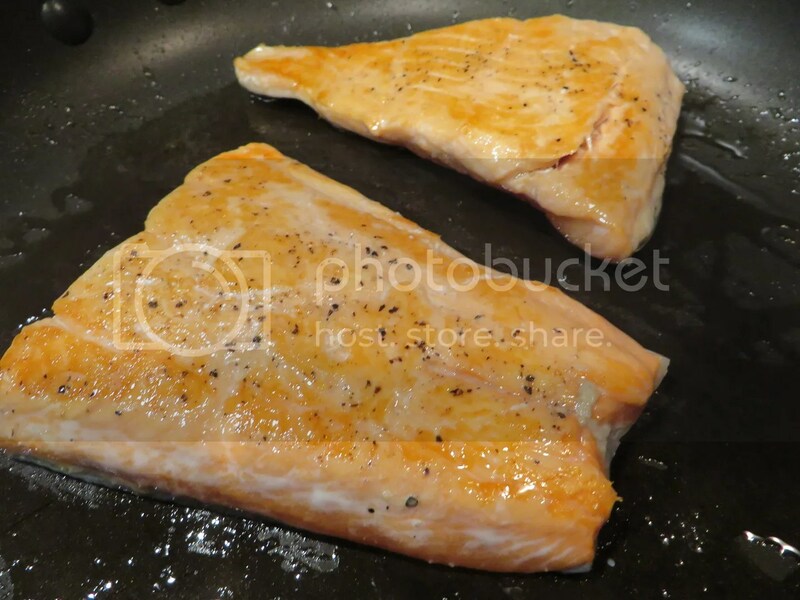 Add fillets to pan, flesh-side down; cook 3 minutes or until browned. Turn fillets over; cook 4 minutes or until desired degree of doneness. 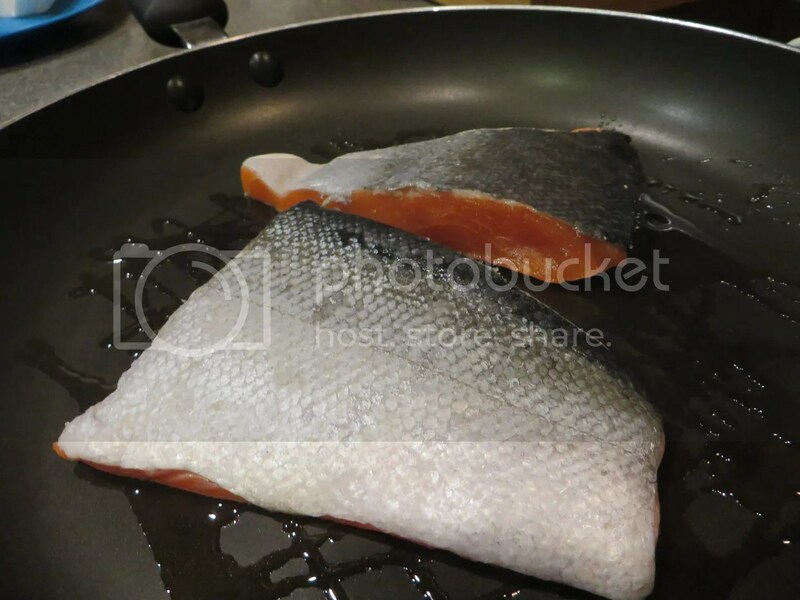 Remove fish from pan; loosely cover, and keep warm. 2. While fish cooks, place vinegar in a medium bowl. Gradually add oil, stirring with a whisk. Stir in shallots. 4. 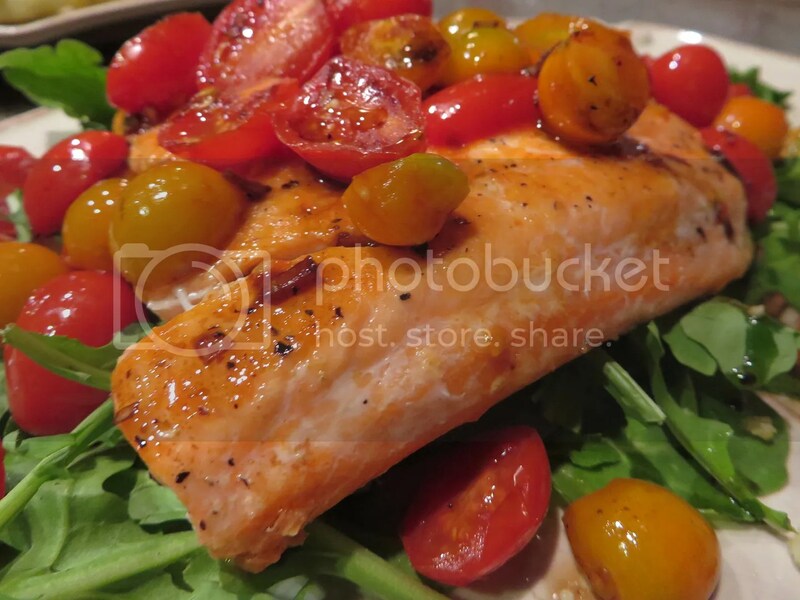 Arrange 1 1/4 cups arugula on each of 4 plates; top each serving with 1 fillet (remove skin before placing). 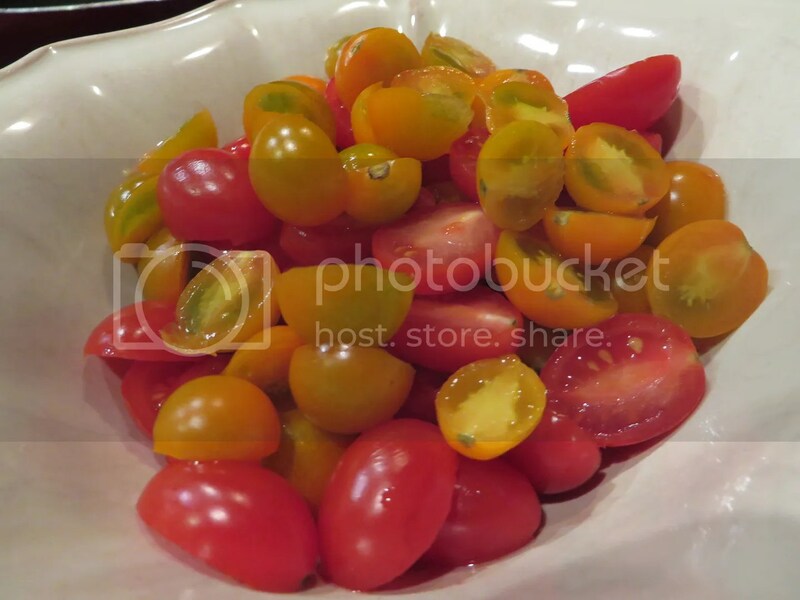 Spoon about 1/2 cup tomato mixture over each salad. I love buying fresh corn at this time of year, when it’s *everywhere* and super sweet. My only problem is that I often run out of things to do with it. I like to grill whole ears, and I like to cut it off the cob and saute it or put it in salads and side dishes. But I’m always looking for something new to do with corn. This is a fun new way to use corn – make it into little cakes topped with a homemade salsa! These were fantastic! We served them as a side dish, but you could easily make a meal out of these, too. Enjoy! 1. Combine flour, cornmeal, baking powder, 1/2 teaspoon salt, and 1/4 teaspoon pepper in a large bowl. 2. Combine sour cream, eggs, and 1 tablespoon oil in a bowl, stirring until smooth. Add sour cream mixture, corn, and jalapeño to flour mixture; stir just until combined. 3. Spray a large nonstick griddle or skillet with cooking spray; heat over medium high heat. 4. Divide corn mixture into 8 equal portions (about 1/3 cup each); shape into patties. Add patties to griddle; cook 6 minutes on each side. 5. Combine squash, green onions, basil, vinegar, tomato, remaining 1/4 teaspoon salt, and remaining 1/4 teaspoon pepper in a bowl; toss. 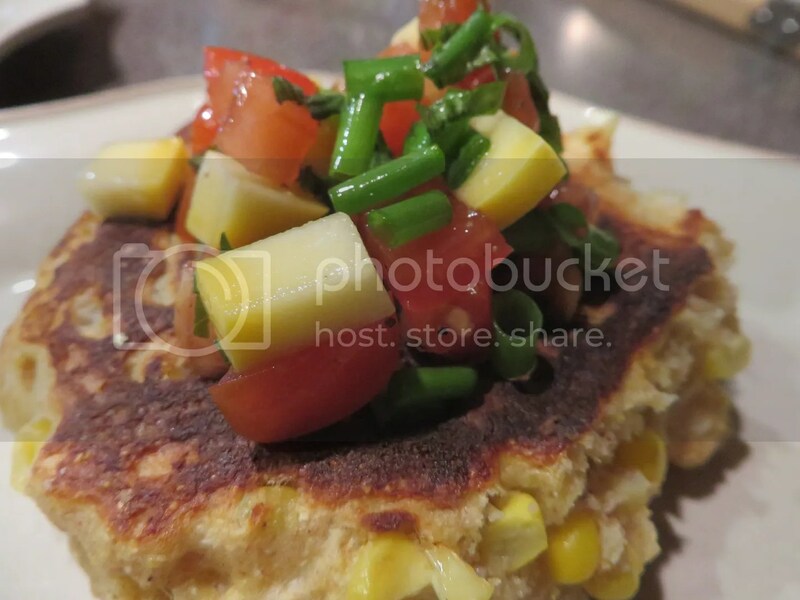 Top corn cakes evenly with salsa. I wanted a fun cheese appetizer for a party, and this recipe jumped out at me from a recent issue of Bon Appetit. This takes a bit of time to make, but it can all be made ahead of time and brought out just a few minutes before serving. I made this exactly as the recipe directed (with the exception of slicing the cheese instead of cubing it), and it was fantastic! It doesn’t need any changes – everyone loved it! Enjoy! Heat oven to 350°F. 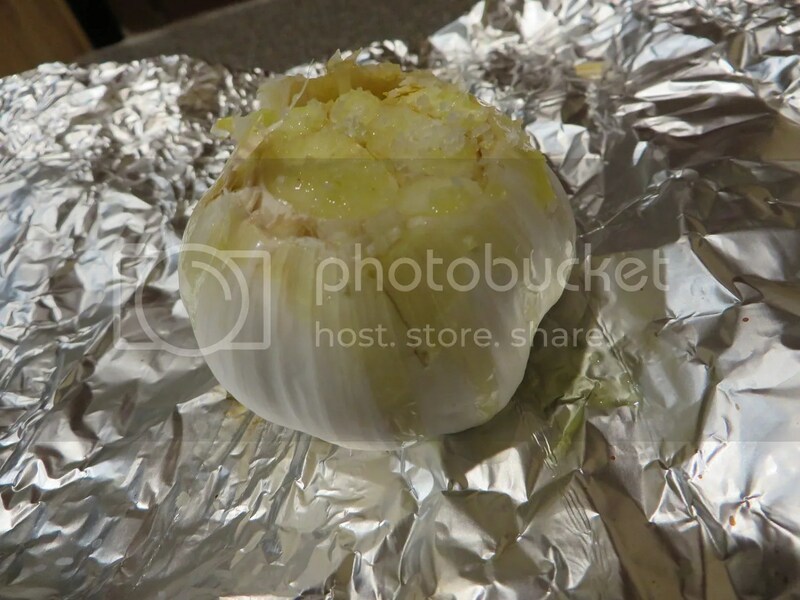 Cut 1/4 inch off top of garlic bulb and place on a sheet of foil. Drizzle with 2 tsp oil; season with salt. Wrap tightly in foil and bake until skin is golden brown and cloves are tender, 35–40 minutes. Let cool. Squeeze cloves into a large bowl. Meanwhile, cut 1/4 inch off top and bottom of orange and cut lengthwise into quarters. 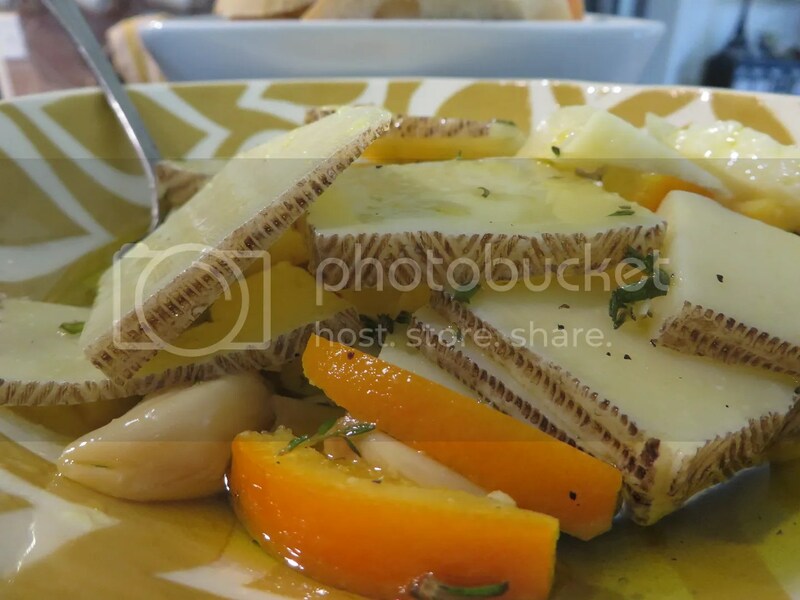 Remove flesh from each quarter, not including white pith, from peel in 1 piece (save peels). Squeeze juice from flesh into a small bowl; set aside. Cut peel into 1/4 inch pieces and place in a small saucepan; pour in cold water to cover by 1 inch. Bring to a boil then drain; repeat process twice more to remove bitterness. 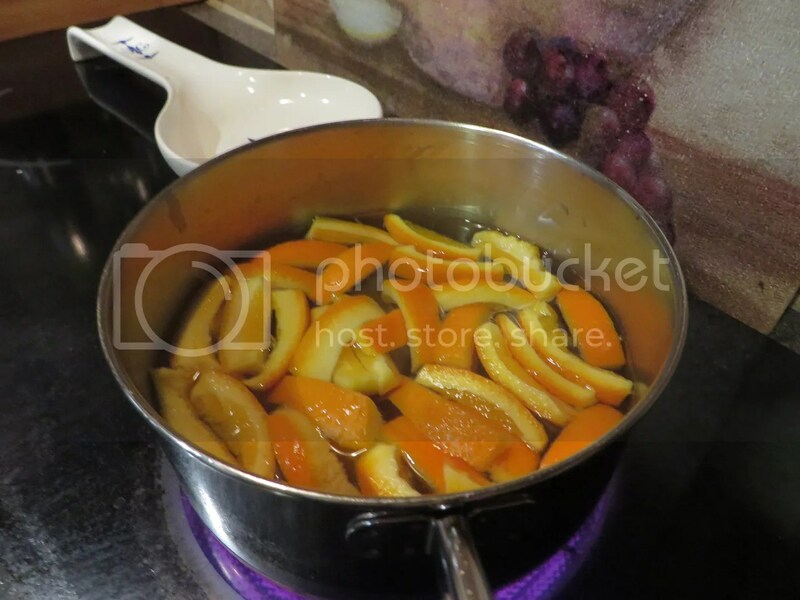 Return orange peels to saucepan and add sugar, reserved orange juice, and 1/2 cup water. 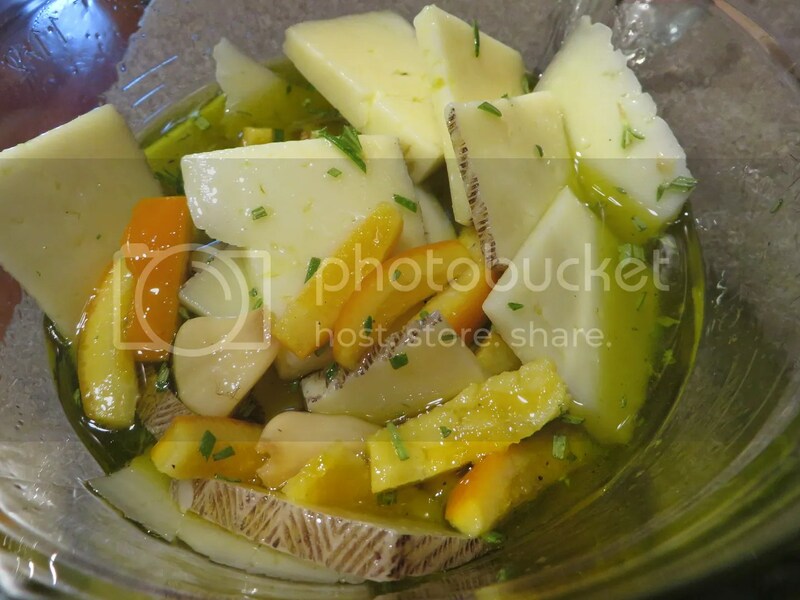 Bring to a boil; reduce heat and simmer, stirring occasionally, until peels are soft and liquid is syrupy, 20–30 minutes. Let orange preserve cool.